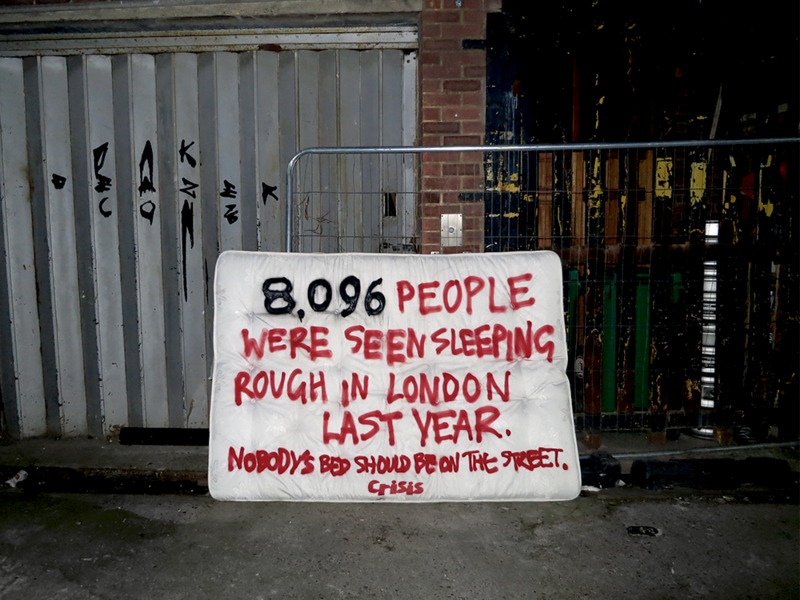 Homelessness continues to rise at a frightening rate, last year in London alone 7,581 people slept rough on the streets, twice as many than 5 years ago. As the problem grows the public become more and more able to ignore the people themselves. This campaign isn't so easy to ignore. Abandoned mattresses litter the streets, once you begin noticing them there's one around every corner. This idea turns them into free media space to make people think about those who are forced to live on the streets.